Jahpan // ElectrickCoolAid Listening Party. We’ll also be celebrating the release of Hayes’ new album called “Entering Providence”! 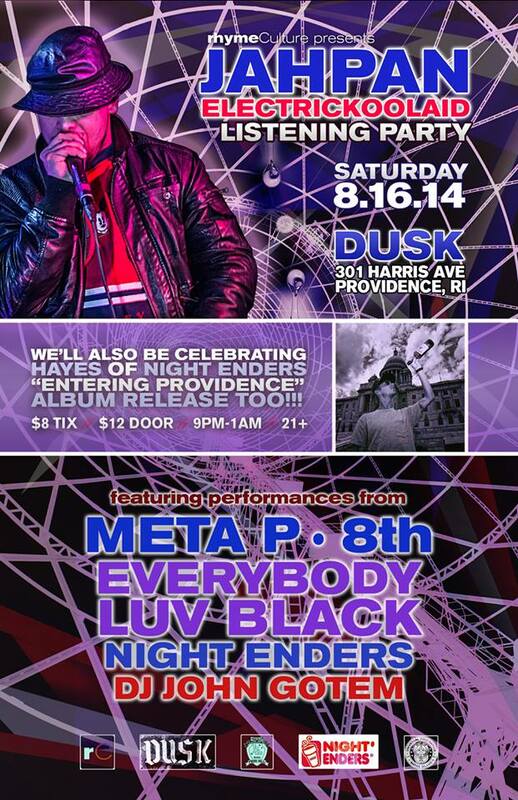 Performances throughout the night from Meta P, 8th, Everybody Luv Black, Night Enders and DJ JOHN GOT’EM!